In the early Buddhist era, image worship is condemned. But in later phase, it was accepted. In India, Hinduism and Buddhism developed well-filled pantheons, but it is very difficult to ascertain in which of these two religious systems a particular image should be assigned. This study is an investigation about the emergence of two deities belong to two different religious believes. This comparative study will not only enhance further inquisitiveness, but also afford knowledgeable reading to the general readers who are interested in this subject. Dr. Saheli Das, Nalinaksha Dutta Stipend holder of the Dept. of Pali, C. U. (Ist class 3rd in M.A. ), JRF & SRFCUGC,NET) obtained Ph.D. degree from the University of Calcutta. She is trained in Ancient Indian Palaeography, Prakrit Language and Literature, Museum Studies, Manuscriptology and Tibetan Language. She was also worked as a Research Associate (post Doctoral Fellow), Dept. of Pali, C.U., UGC-UPE Scheme(West Asian Buddhism). She worked as a Guest Lecturer in the Dept. of Pali, Govt. Sanskrit College. Now she is working as a Guest Lecturer in Pali, Dept. of Languages, in Sanskrit Dept. and in Buddhist Studies, under Faculty of Arts, University of Calcutta. She is the Life Member of The Asiatic Society, Kolkata and Indian Society for Buddhist Studies, Jarrunu. She has more than thirty research papers (national and international) on different fields of Buddhism. She is the Acharya Buddhaghosha Award recipient of the year 2007. Paramita Roy is B.A. Honours in Sanskrit and M.A. in Buddhist Studies University of Calcutta. Her specialization is in Applied Buddhism. She is working as a sub-editor of Abar Yugantar(daily), Kolkata. It is a well-known fact that from the earliest times in India and other' countries where Buddhism has spread, a greater portion of Buddhists usually welcome indigenous religious believes. The local demonological believes introduced the manifestation of spiritual evils and paved its development and evolved a new pantheon of minor deities. In Vajrayana tradition, a developed form of Mahayana, local deities got esteemed status, even accepting some of their cults as a supplementary of liturgies in honour of Buddhas and Bodhisattvas. As a consequence, a well organized pantheon had been formed based on the local believes. But it must be said that social need causes to include local gods and goddesses into the pantheon as the protectors. In this respect, the present study is very necessary. The present study consists six chapters. Chapter- I is the introduction. Chapter - II .deals with the origin of the image of the goddess Parnasabari and her description. Chapter - III mainly discuss the five sources of genesis of the goddess Sitala. Chapter - IV made a survey of the goddess Parnasabari and the goddess Sitala found in different parts of West Bengal and Bangladesh. Chapter - V bears the comparison between the goddess Parnasabari and the goddess Sitala Chapter - VI is the concluding part. We are really indebted to Prof. S.K. Pathak, Vtswa-bharati. Shantiniketan, for his valuable suggestions at every step. We are grateful to Prof. Dr. Mani Kuntala Haldar(De), Coordinator, Buddhist Studies, under Faculty of Arts, University of Calcutta for her encouragement. We convey our heartfelt thanks to the authorities of the Central Library. University of Calcutta. Museum & Library of The Asiatic Society. Kolkata and Library of Indian Museum. Kolkata for giving us permission to consult books. documents and periodicals from time to time. We are really indebted to Shri Supriyo Biswas for his technical assistance. We are thankful to Prabhat Chattopadhyay for supplying us the image of the- goddess SitaIa of his own family temple at Mayal village. Arambag sub-division. Hoogly district. We are also thankful to Shri Prasanta Bhattacharya of Punthi Pustak. Kolkata for undertaking the tusk of publishing this book with great care. Besides those. we acknowledge our gratitude towards those persons who helped us a lot without mentioning their name. In the early Buddhist era. the conception of god was not accepted. Moreover. during the time of Lord Buddha and his immediate disciples. prohibition of the construction of image for the purpose of ) Vorship is seen. The image worship was condemned in the Brahmanadhammikasutta of the Suttanipata.' In early Buddhist. sculpture Buddhist symbols are found as the object of worship. viz., foot-prints. bodhitree. stupa, dharmacakra etc. 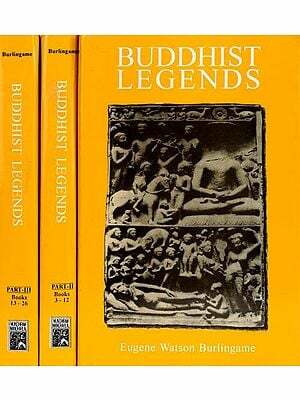 It is said just before the Mahayantsts first introduced the image worship in the Buddhist systems. which reached in its peak by the Tantric followers in general and the Vajrayanlsts in particular. In the Tantric system, mantras, dharanis and the diagrams in the form of circles or rnandalas and triangles, began to assume increasing importance. These mantras may be compared with the partttas, which were supposed to protect the recitors against the evils. A large number of gods and goddesses were also worshipped by the Tantric Buddhists in expectation to attain Siddhi by their favours. It is important to mark that while in the early stage the Buddhists believed that the human being himself responsible for their own salvation, in a later period, the Tantric Buddhists prayed for some Supreme Powers for their upliftment or to attain goal. In the Mahayana works, like the Sukhavativyuha, the Astasaha- srikaprajnaparamtta, the Manjusrimiilakalpa, the Vidyadharapitaka and Guhyasamaja etc., the names of· the Buddhists gods and goddesses are found. However, the Guhyasarnaja is the work where the idea of an image is properly crystalised. In the other hand, it is seen that every phase of human life is directly controlled by some divine power, which is one of the chief characteristics of rural folk of India. People think that if anybody suffers from any disease it is either due to an evil spirit or believed to be brought on by the wrath of an angry god. These supernatural phenomena have such an impact on the mind of the Indian people that every disease has its own theory of origin. The concept of small-pox deity and its origin varies in respect of place, time, community etc., e.g., the goddess of small-pox of the Buddhists is Parnasabari, but of Hindus is Sitala and in Decan, Sitalamma. in the Telegu community, Molamrna. Again, the deity of small-pox is addressed in various titles, viz., Bajar Budi, Padmavatima, Vasantaraya, Vasanta Budi, Thakurani, Jagrani, Karunamayi, Mangala, Bhagavati, Dayarnayi etc. In the Munda speaking tribes, the name of their deity of small-pox is Magh-boriga. However, the present study will reveal the fact that the Buddhist goddess Parnasabari and the Hindu goddess Sitala are the remedial deities of two communities, none of them influences another, after a close examination of two deities. A comparison is needed in that respect, which may establish the fact that two deities are evolved in two different religious communities, though the purpose of their emergence is same and they have some common characteristics, but they are distinct from each other in various respects.